Why choose between teddy bear with flowers, when you can gift your loved one both at the same time? Stuffed teddy bears are a thing of a past. Our special rose teddy bear is a timeless flower shaped surprise that will leave any lady speechless. Your significant other is not the only one that will love the cute teddy bear. Our cute teddy bear can be a lovely nursery décor also. 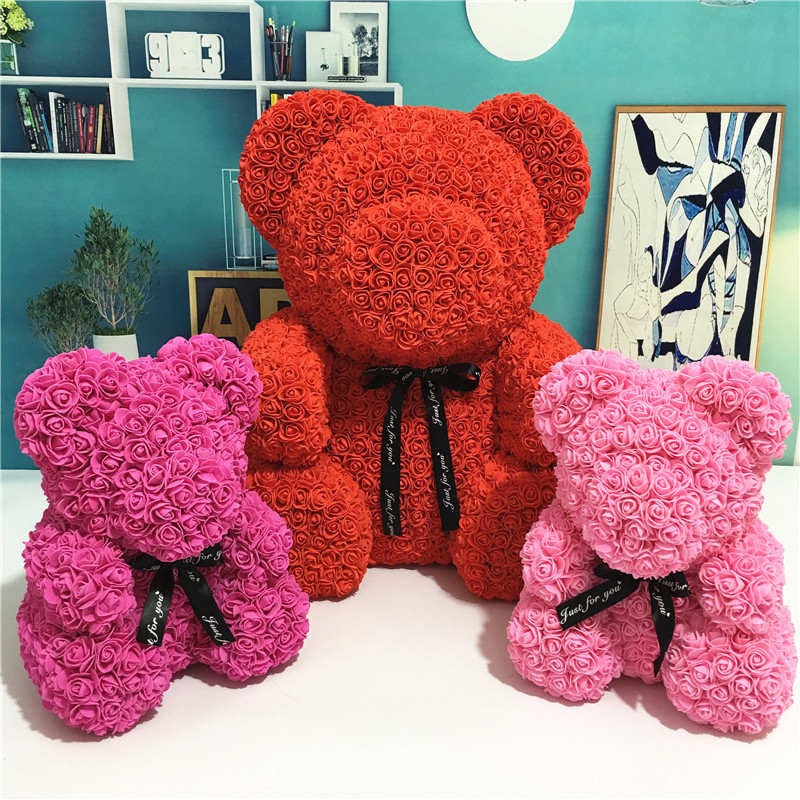 Unlike the real flowers that have an expiration date, this gorgeous decorative flower bear is made of soft synthetic roses and comes in carefully selected romantic warm colors, and will stand the test of time. This makes a perfect anniversary or birthday gift that will look great as a decoration piece in your loved one's home or office.